The Schola Cantorum in Basel has long championed the imaginative exploration of early music, creating expertly-researched programmes and encouraging superbly-performed interpretations with a close attention also to the most appropriate recording conditions. 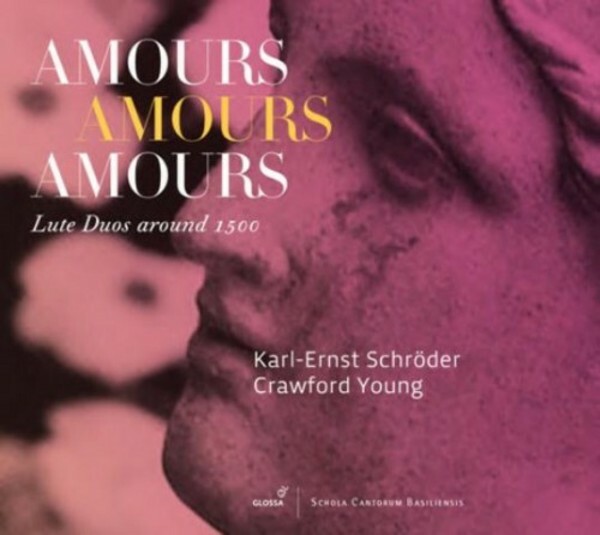 Such was the case with 'Amours amours amours', a disc of lute duos starting from music composed in the fifteenth century, recorded in 2001 by Karl-Ernst Schr�der and Crawford Young and deservedly justifying its reissue now, courtesy of Glossa. The two artists � and sadly Schr�der was to die not long after the original release of the recording, which continues to serve as a memorial for him � had delved into the world of Renaissance chansons, frottole, basses danses and tenors, and the known arrangements of such original vocal and instrumental works. They had conjured an eminently satisfying selection which demonstrated both the legacy of this widely-practiced performance activity and also Schr�der and Young�s own improvisatory talents. Beginning with the early musical prints of Ottaviano Petrucci, the lutenists have made use of Francesco Spinacino�s arrangements as a starting point for considering two, three and four-part versions of pieces by Josquin, Agricola, Ambrosio and Isaac, and many other composers of the time, with the theme of love � as with the disc�s title � wordlessly flowing through the whole programme. The recording is accompanied by illuminating notes by Martin Kirnbauer and the two artists themselves.